Hello from sunny California! I had to leave Colorado so that it could snow there. It doesn’t make any sense to me either, but it’s snowing in Colorado, so my work here is done! 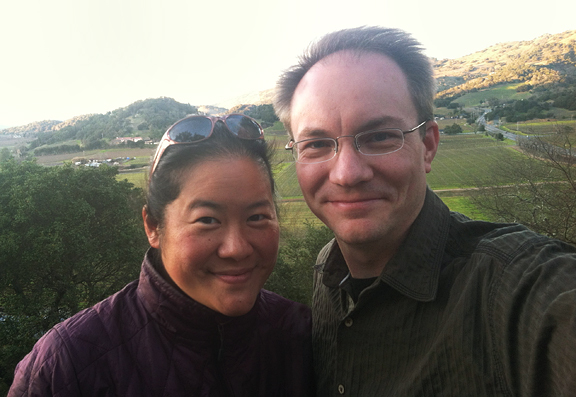 Actually, Jeremy and I came to California for a wedding in beautiful wine country. We made a weekend of it. As much as I love visiting California (and I truly do), I am excited to get back to proper winter temperatures, snow, my pup, my bed, and my own home-cooked food. I’ve often declared that I’m not much of a breakfast girl. If I am going to sit down to a morning meal it is the savory breakfast that woos me over. But I have to admit that I am an all out sucker for oatmeal. I’m not talking about oatmeal in a wax-lined paper pouch eerily resembling the confetti that comes out of a hole puncher. You know what I mean. Add boiling water, stir, and suddenly – instant paste! That’s the stuff we schlep into the backcountry in winter, but when you are at home you can enjoy a completely different and better oatmeal. If you’ve had steel cut oatmeal, you know of what I speak. 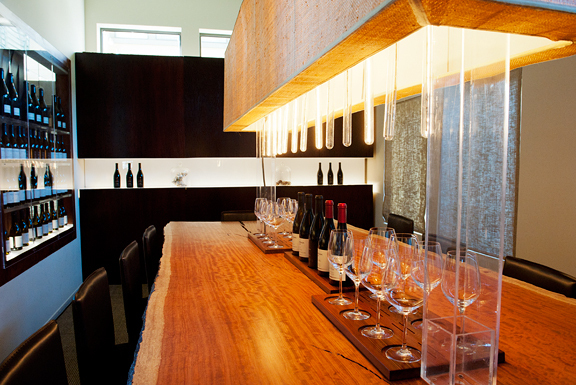 If you haven’t, then pull up a chair and have your spoon ready. 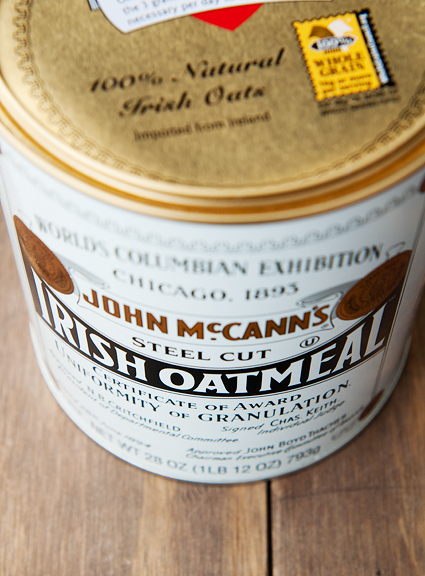 Steel cut oatmeal has a lovely, almost crunchy texture. The oat kernels are cut into thick pieces in comparison to their rolled or instant counterparts which are more heavily processed. Steel cut oats do require more cooking time, but you get an oatmeal that has superior flavor, texture, and is healthier for you to boot! And it’s so simple to prepare. My favorite way to enjoy oatmeal is with dried organic cranberries because I like that mild tartness. I also add a sprinkle of dark brown sugar and maybe a pat of butter if I’m feeling indulgent. Some folks like to stir in cream or milk. Top it with fresh or dried fruit. Add honey, maple syrup, cinnamon, nuts! Oatmeal is a blank slate and you can add pretty much anything you like. My mom loves to make savory oatmeal in the same vein as Chinese congee. To each her own, I say. Jeremy and I have noticed that it takes a little longer and a little more water to cook our oatmeal at elevation than it does at sea level. It’s worth the wait. We like to make large batches because it reheats so well for a quick, hearty, hot, and nutritious meal right before a day of backcountry ski touring or a long hike. I swear it’s not just my happy mental association with being in the outdoors! I’ve skipped breakfast or scarfed down a piece of toast before a day in the mountains often enough to feel an enormous difference in the duration and type of energy I get from a bowl of oatmeal. Goldilocks complained about porridge being too cold, too hot… I really think she should have been assessing the consistency and viscosity of the porridge. Some folks like a soupy bowl of oatmeal while others want their oatmeal thick and creamy. It’s all good, although I tend to prefer the latter at home and the former in the backcountry (to promote hydration). Sometimes I go for long stretches without eating breakfast, then I rediscover steel cut oatmeal and fall in love with it all over again. And if you don’t have the time to babysit a pot of oatmeal for 30 minutes as it simmers, you can cook it overnight in your crockpot. Sweet. 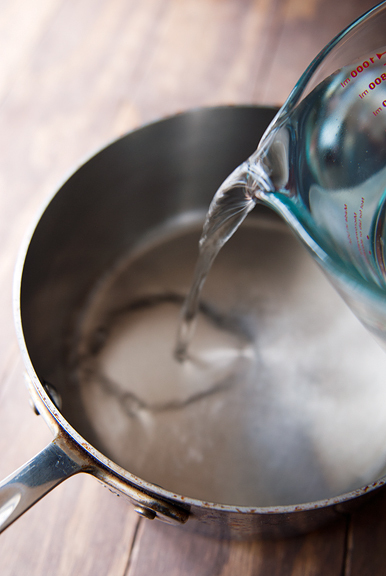 Bring the water to a boil in a medium saucepan over high heat. 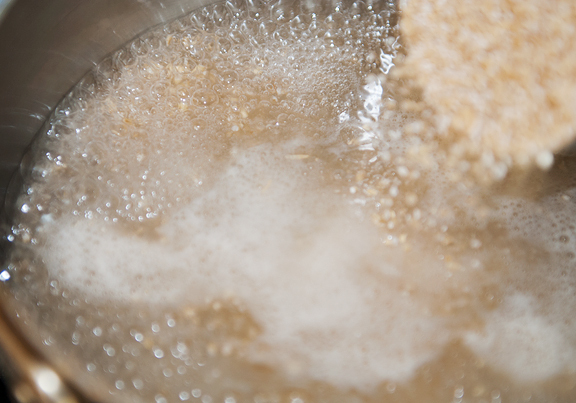 Stir the oats and a pinch of salt into the boiling water and simmer for about 30 minutes, stirring occasionally to prevent sticking. 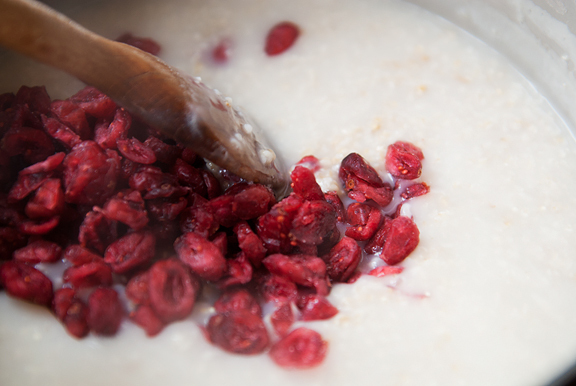 When the oats are a little more watery than you like, add the dried cranberries (or other fruit, or nothing) and simmer for 5 minutes. Remove from heat and serve hot. You can stir in some milk, or brown sugar and/or a pat of butter. Top with fresh fruit and/or nuts if you like. Serves 4. You’ll have a creamier oatmeal if you don’t add salt until after 30 minutes or so. 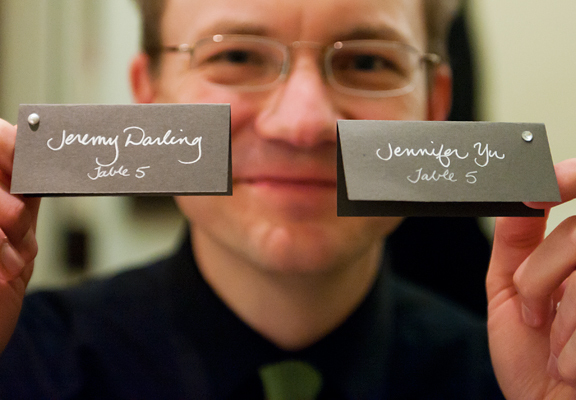 Jeremy’s last name is Darling?!? 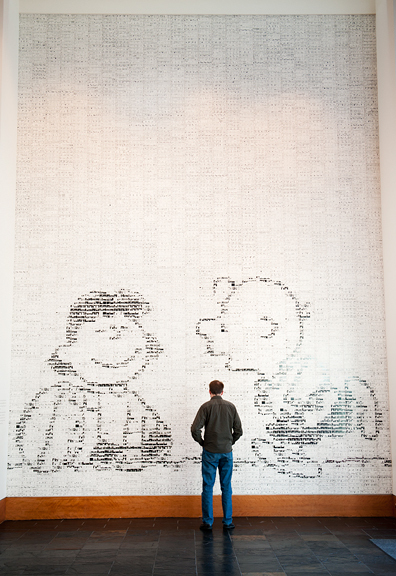 Ahhhh too cool. Oh, thank you Jen! 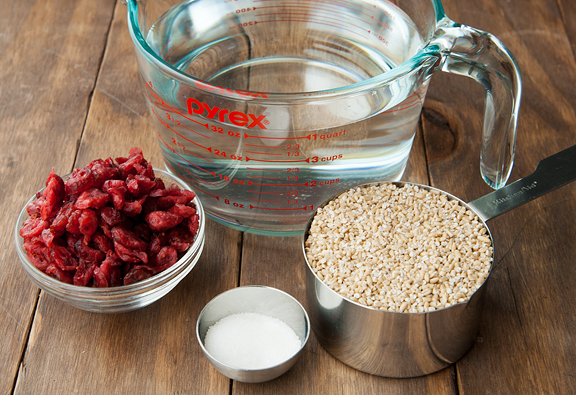 I’ve been reading about steel cut oats (I know, late to the game) – can’t wait to try your recipe this weekend. I keep saying I’m going to try it, but haven’t yet. Since I love your recipes, I think I’ll give this one a try! And, I swear you and Jeremy git better and happier looking the longer I follow this blog…. 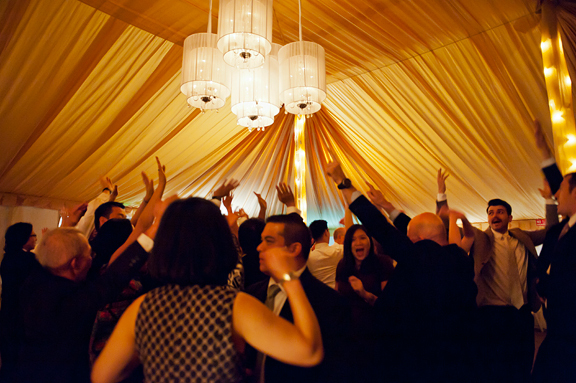 What an exuberant photo of all the people dancing at the wedding. It’s difficult to find steel cut oatmeal where I live so I buy in bulk if I see it. I am guilty of eating the processed type of oatmeal (every morning). One of these days I will have to give steel oats a try. Have to admit they do look good. We love steel cut oats around here too! Nutty and full of wonderful texture with a nice creaminess behind. I grew up on them. They are also called pin-head oats around these parts, and with them you make Goetta — a local savory concoction made of oats, ground beef, ground pork, onions, salt pepper (lots of pepper) and bay leaf. It is cooked, cooled, then sauteed (sometimes in baconfat — desirable but not mandatory) until it has nice crisp edges. But, for regular breakfast oats, like many, I hate the 30 minute babysit. So I put oats in my little rice cooker and go about getting ready for my day. 30 minutes later — viola! You can also put them assembled to cook in the fridge overnight – even add you milk instead of H2O. In the a.m. pop them onto the stovetop or into the microwave in a bowl. It takes just a couple of minutes to bring them to the simmer (or nuke them ’till hot) and you have (a couple) minute steel cut oats! 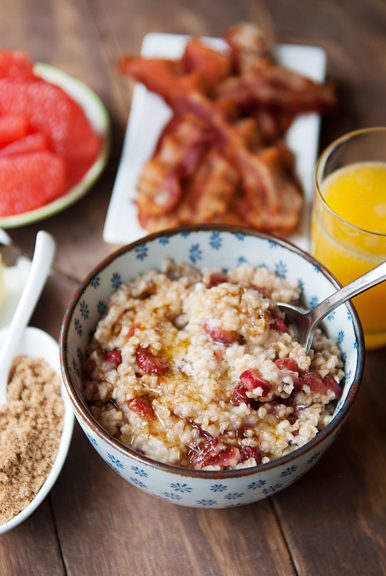 Yup, around here, we love us some steel cut oats! We are big fans of oat grouts at our house. I cook them overnight in a small crock pot. I season them with a little vanilla, cinnamon, nutmeg, salt and a little brown sugar. We usually add raisins or dried cranberries 10 – 15 minutes before serving to plump them up. It’s been raining here in SW Colorado all weekend! Go figure? 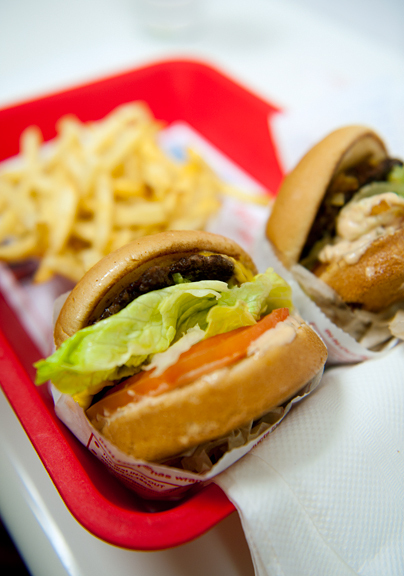 When we drive to California we always have to hit IN n OUT on the road- except when we drove over the Sierra Nevadas and Wikipedia-ed all about the Donner Party – IN n OUT didn’t taste so good in Sacramento! 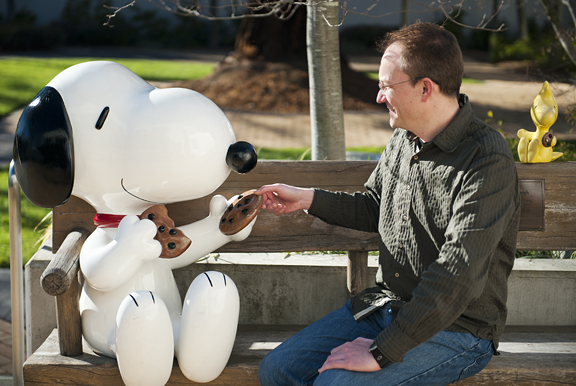 (Love your blog, especially the Lab-related bits). Those oats look delicious. Especially when paired with bacon and grapefruit. Isn’t that the truth about Goldilocks? My husband likes his oats cooked to a dense muffin texture to which I say, Yuck! Me, I’m more the liquid type. Looks like you had a great trip! That looks just like the breakfasts I’ve been having recently too, dried cranberries and all! I love steel cut oats and have been eating them for years. I soak them (and all my other grains & legumes) overnight with a little buttermilk, yogurt whey, or lemon juice – per Sally Fallon’s directions in Nourishing Traditions. This breaks down the anti-nutrients and as an added bonus greatly reduces the cooking time in the morning. However, I always like to have something savory in the morning before anything sweet – even lightly sweetened oatmeal. I just saw this beautiful French food blog. 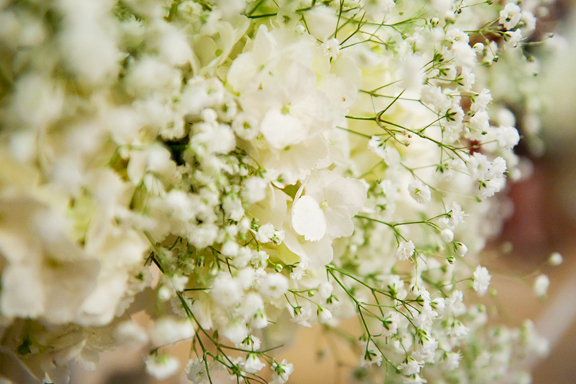 I thought I’d share, since you love photography also, and the photos in the blog are magnificent. You can buy steel cut oats that cook in 5 minutes at Trader Joe’s. I soak them in water overnite, on the counter in the same cooking pot. Boil for 5-10 mins, throw in a pinch of salt, a bit of sugar, some shredded coconut, and lastly an egg. Love that it tides me over till lunch and is good for u! We do ours in our electric pressure cooker. High pressure for 8 min. it takes about 15 mins all told. Because it’s cooked under pressure you don’t need quite the full measure of water. I’ve done it in my crockpot (in a water bath), overnight in a pot on the stove, in a rice cooker; good eats every way! Oh, and Trader Joe’s has the best price on the McCann’s. Found a larger container at Smart and Final but alas, ounce of ounce TJ’s won! I am the oatmeal guru. Sadly my young husband developed type 1 diabetes after intense chemotherapy. Having stirred these oats since 2004, I now use my slow cooker! Score! I make 2 cups, peel, core and slice 10 apples, lots of Penzey cinnamon, and in 4+ hours we have our end product! It’s a beautiful thing! I LOVE steel cut oatmeal! 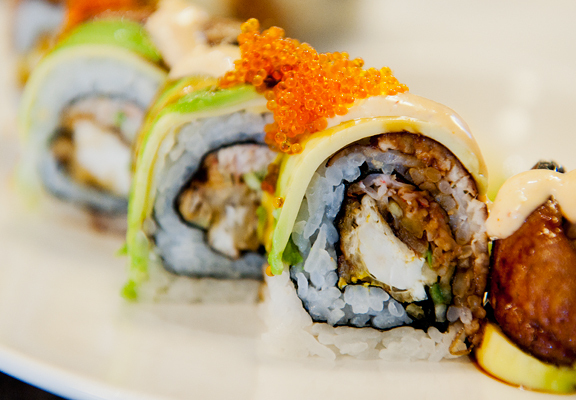 :) Looks delicious and your trip to CA looks fantastic! I love oats too. I let them soak overnight and then in the morning put them on a low heat. By the time the oats boil they are nearly cooked and only take a couple of minutes and they are done. I like dried raspberries, apple and cinnamon in mine. I love when people take a vacation in my backyard! It reminds me how beautiful Sonoma County is and how fortunate I am to get to live here year-round. Sorry we didn’t have colder weather for you. A couple of weeks ago, it would have been more frosty. I love steel-cut oats and usually make up a large batch of them in the slow-cooker overnight. I’ve been known to mix in other grains as well (amaranth, quinoa, millet, etc.) when cooking. It warms over nicely, and because I’m often eating “on the go” it travels well until I get to school or wherever. I love making myself oatmeal on cold mornings. I do use the instant oats but cook them in milk for creaminess, though I’ve never compared. I like mine with raisins, brown sugar, and cinnamon (and peaches, when they’re in season!). Oh you were playing in my back yard. 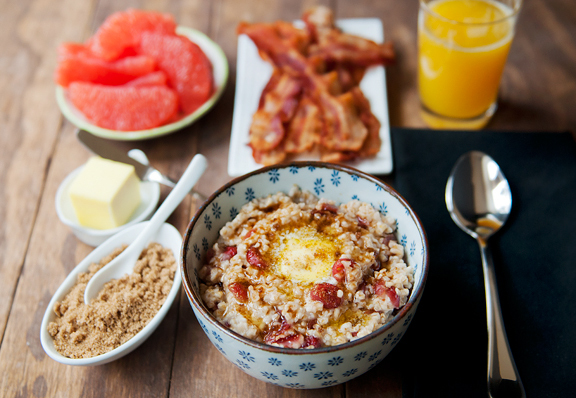 A post about two of my favorite things steel cut oats and sonoma county. Looks like you guys had a good time here. 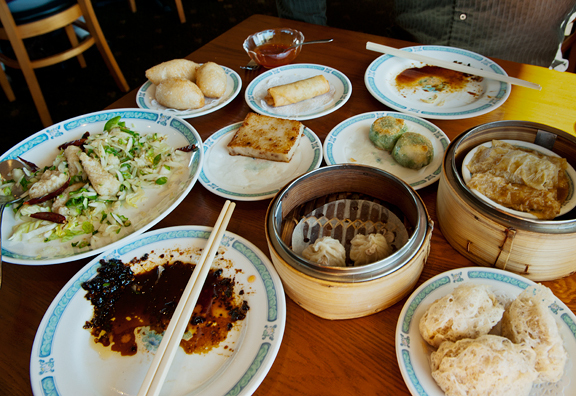 Even though we are in California I was very happy to have Hang Ah open here so I don’t have to drive down to the city/Daly City for some Dim Sum! Very rarely do we get snow here but it’s nice in a different way. DELICIOUS! Thank you for sharing!!! just found your blog for the first time (searching for passion fruit tea). 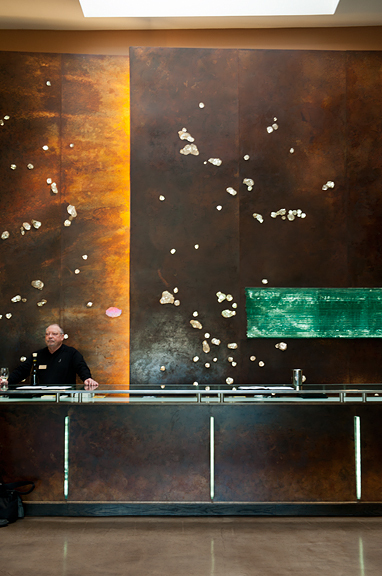 Love the photos and the food. I was just talking to a friend yesterday about adding cranberries to steel cut oats. I appreciate the instructions as I need step by step help. thanks. Ryan – thanks, good to know. Kath – I hope you enjoy them, sweetie! Linda – awww, you’re very kind. debbie – their texture is completely different, I think you’ll enjoy them. Nan – wow, that sounds incredible!! Thanks for sharing that savory recipe! Helen – that doesn’t seem to work as well at my altitude since we can’t achieve the same temperatures and we lose heat really quickly, but that sounds like a good tip for others at or near sea-level! Karen – thanks for that tip. Sounds like lots of folks soak the oats overnight. I’m going to try that. Lisa – hey, thanks for the tips on using a pressure cooker! Peta – awesome, I’m gonna do that. Karen – it’s a nice place to visit. I still have a very special place in my heart for California. What a wonderful state. Cindy – I was surprised at the quality of Hang Ah’s dim sum! Pretty good for where we were. I love oatmeal, all sorts and in all kinds of ways! One of my favorite ways is with peanut butter and guava jelly (failing that peanut butter and honey)…YUM!! 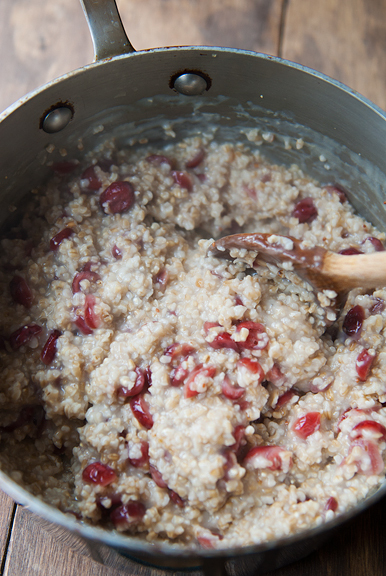 Your bowl of steel cut oats with cranberries looks magnificent!